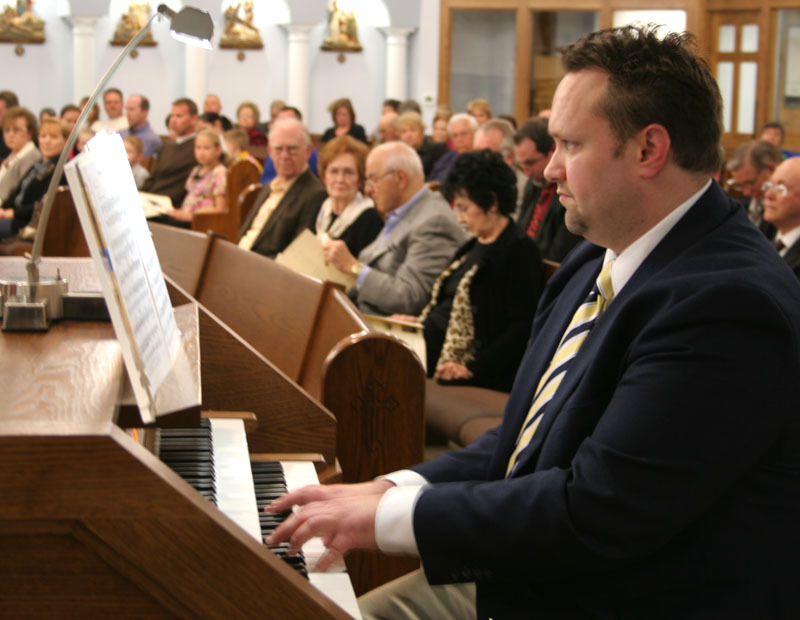 St. Mary, Fannett, was filled with beautiful music Jan 28 as Southeast Texans gathered for the dedication recital of the new Phoenix organ. St. Mary sponsored the evening along with the Beaumont Chapter of the American Guild of Organists. St. Mary recently purchased and installed a 2-manual, 46-stop Phoenix organ, the first Phoenix in Southeast Texas. Local organists such as Stanley Cox, Justin Sanders, Jerome Wells and St. Mary’s own organist, Craig Thomas, played their favorite works for organ. At the beginning of the evening Thomas took attendees on a tour of the organ, pointing out the different aspects of the instrument. Father Jim McClintock, pastor of St. Mary blessed the organ during the concert.